4 slender panels above several layers of soft ruffles on the skirt of this well cared for dress. 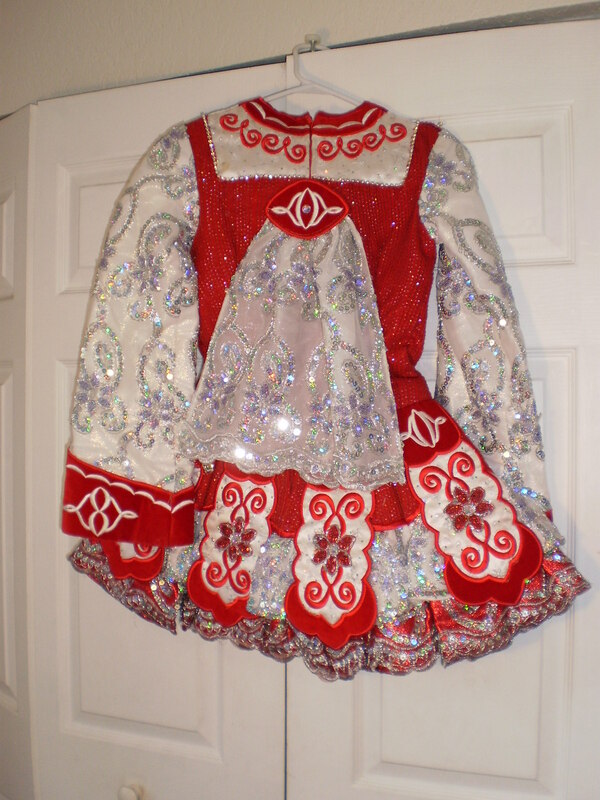 Bodice is a beaded fabric which picks up light and absolutely glistens on stage. Embroidery is thick and beautiful. 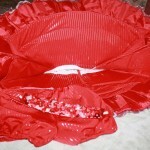 Underskirt is red with a slim silver stripe. Stored flat in a smoke-free home. Dress shields worn every time. 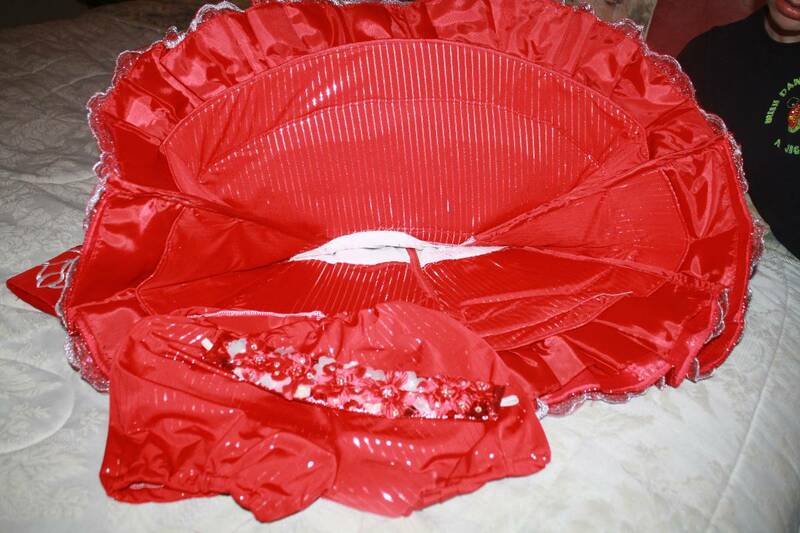 Bloomers and headband included. 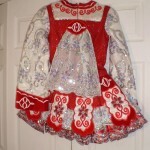 This dress was made for my daughter a little over a year ago. Dress has been let out in the sleeve and in the chest. There is let down in the skirt, about an inch. It is easily taken up again in the chest and sleeve.